Here are the updated version of the Raf Simons shoe I converted back in early 2016. 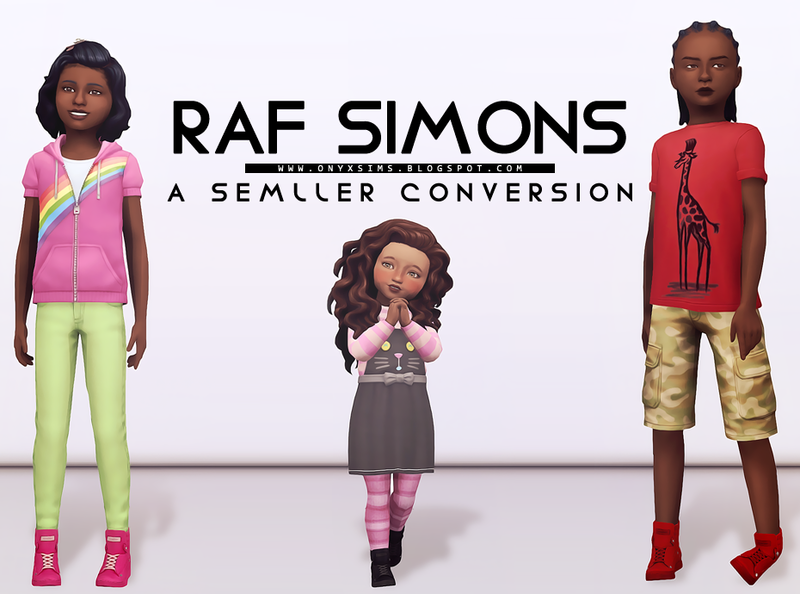 The mesh and textures are 100% originally Semller's whose Sims 3 version can be found here on Tumblr. 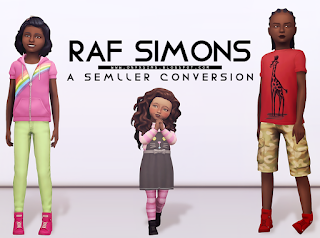 I updated my Sims 4 version with a better uv map and color choices. I also made it available to toddlers, which will only show up with the kid's version. I should not that the shoes look a little weird in CaS, but are completely fine in game, you can check the photo below to see what I am referencing.